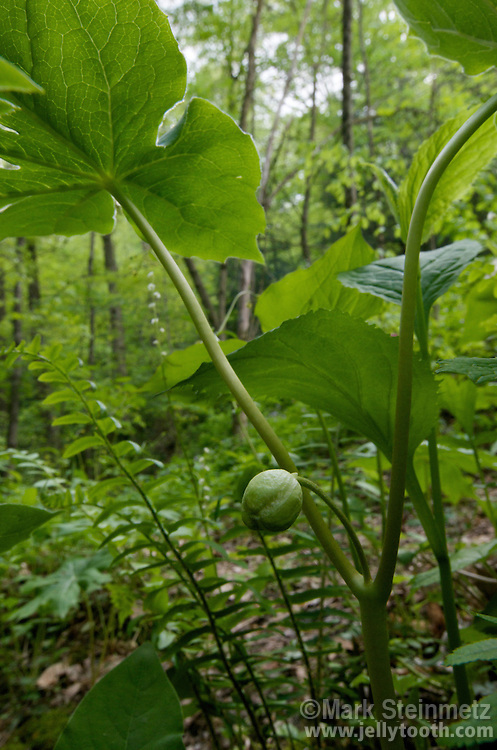 Mayapple (Podophyllum peltatum) fruit. Despite its common name, it is the white flower that blooms around the month of May. The fruit appears a month or two later. Only plants with twin leaves will flower at the fork of the stem. This species is native to eastern North American woodlands. Mohican State Forest, Ashland County, Ohio, USA.